SEO, or Search Engine Optimization, is a powerful tool that opens for you the door leading to better sales, high website productivity and stable popularity. If your website runs on WordPress, there are some easy ways to improve SEO ranks and make your project more reliable, so you’ll join the best sites lists by Google and some other search engines. Before proceeding to SEO itself, we’d like to say there’s one serious point that you should consider. The content you are planning to sell is extremely important. Analyze the market — if your target audience doesn’t use Internet — SEO won’t help. Samely, if the quality of your content or product is not satisfactory, you will get bad feedback, and search engines will rank you low. And, of course, check the search request for keywords connected with your service. 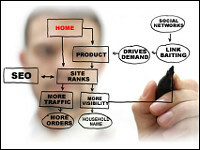 Many SEO geeks make a very special stress on interlinking and permalinks. However, recently such giants as Google have made the rules quite strict for using this SEO tool efficiently. So, you can of course use permalinks, but be smart and don’t abuse this tool. Another important thing — check if your posts are not displayed with post ID (like www.something.com/?p=187), otherwise you may have problems with permalinks in future. One more good way to make SEO, not war, is to install a tried-and-true WordPress plugin. 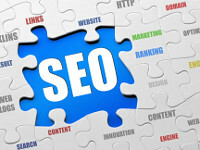 There are special plugins like All in One SEO Pack, SEO Smart Links, or SEO Friendly Images. They will ease your SEO headache and unite all necessary tools in a couple of WordPress panel pages. With different WordPress SEO plugins you can edit meta titles, page descriptions, add tags, keywords, special texts for images, reveal broken links, and a lot more. Well, caching is a nice way to improve not only your SEO ranks, but also regular website performance. That doesn’t work easy, but still the system is as follows: you improve your cache; your website gets lower bounce rates; your website is supposed more reliable and climbs higher in search engine ranks. Improving cache functionality doesn’t take much time if you use WordPress. The thing is, this CMS is a bit slow in processing database requests, but there are several free plugins like WP Super Cache or WP Green Cache that will do the job for you. Just a couple of clicks — and your website already runs faster and gives more satisfaction to your visitors. And remember — caching works specially well if combined with other SEO tools, so don’t neglect special plugins, permalinks, and may the Force be with you!